I hope you had a wonderful Christmas with friends and family! Now that the big day is over, I am settling in to do a little year-end photo organization, and starting to plan for 2013. Every January I set some goals for capturing moments of the upcoming year in scrapbooks. Some years it's to scrapbook a certain amount of pages per month or to complete a specific project. Other years I've participated in a photo-a-day project or variations of it. When Becky Higgins first started Project 365 (now known as Project Life) back in 2008, I completed a great book using her products, but in the years since then I've done it up Creative Memories style! In the past I've adapted Hardbound Storybooks, Picfolios and digital Page Prints to capture a years worth of memories, but this year, CM has come up with the simplest way ever of saving a photo-a-day for 2013. They have created a collection of click and fill digital templates that are pre-labelled with week and day numbers which let you simply slip your photos into each designated spot add a bit of journaling and you are done! 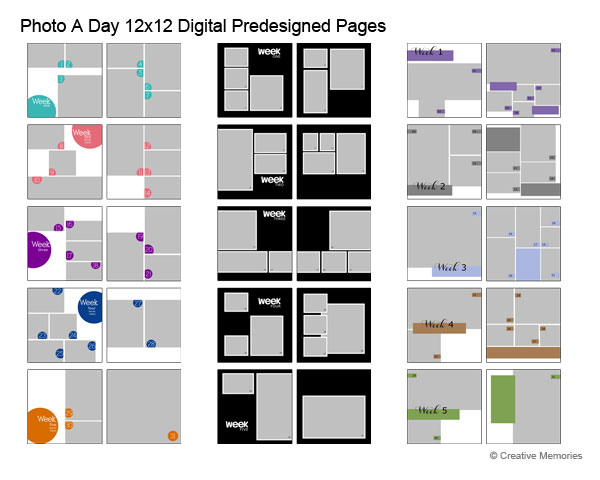 I envision completing a layout per week and them printing the pages a month at a time to keep it manageable. 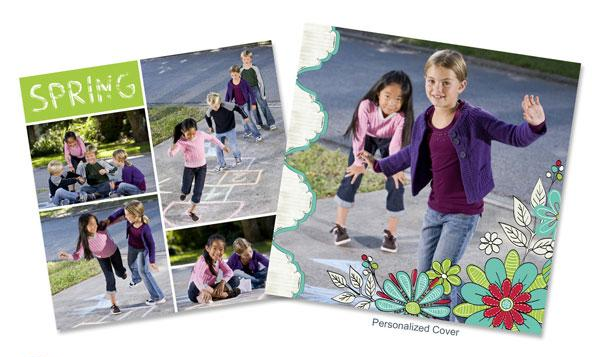 Slip the printed pages into an album and you are caught up! I think it's a brilliant way to easily capture the highlights of the coming year...and of course you can use it for years to come, with 6 different options to choose from you'll get a new look for each year. Want to learn more about this photo-a-day concept? Join Creative Memories from January 3-6, on the Creative Memories Go Digital Facebook Fan Page as they kick off this project and guide you through a year's worth of photo-taking. Adorable...and so simple! 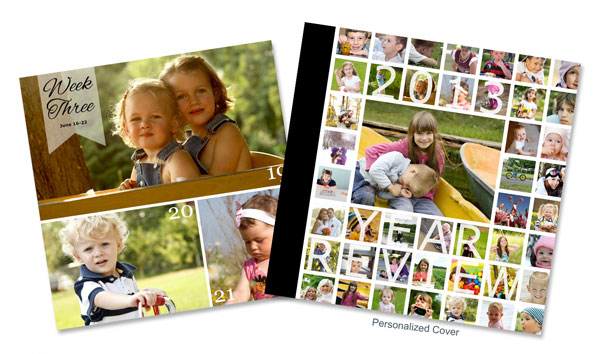 Each seasonal collection has 30 pre-designed pages and 2 cover options for lots of versatility. If you haven't started creating with Storybook Creator 4.0, you can view and download a copy of the software here. (Not sure if you'll like digital scrapbooking? You can try out the software FREE for 30 days by clicking here!) I am always available to help you out. If you are in the Calgary area we can arrange to get together for some one-on-one tutoring. If you are further afield, check out all the online tutorials here, and don't be afraid to email me with any questions! So what are your plans for collecting 2013 memories? I have storybook creator 3.0 but want to do a project life type of layouts. I see they have click and fills for 4.0 but I was wondering if they have anything close to that with 3.0. Thanks!